The University of Alabama College of Community Health Sciences is home to one of the nation’s largest family medicine residencies – The University of Alabama Family Medicine Residency – and offers post-graduate fellowships in behavioral health, emergency medicine, geriatrics, hospital medicine, rural public psychiatry and sports medicine. 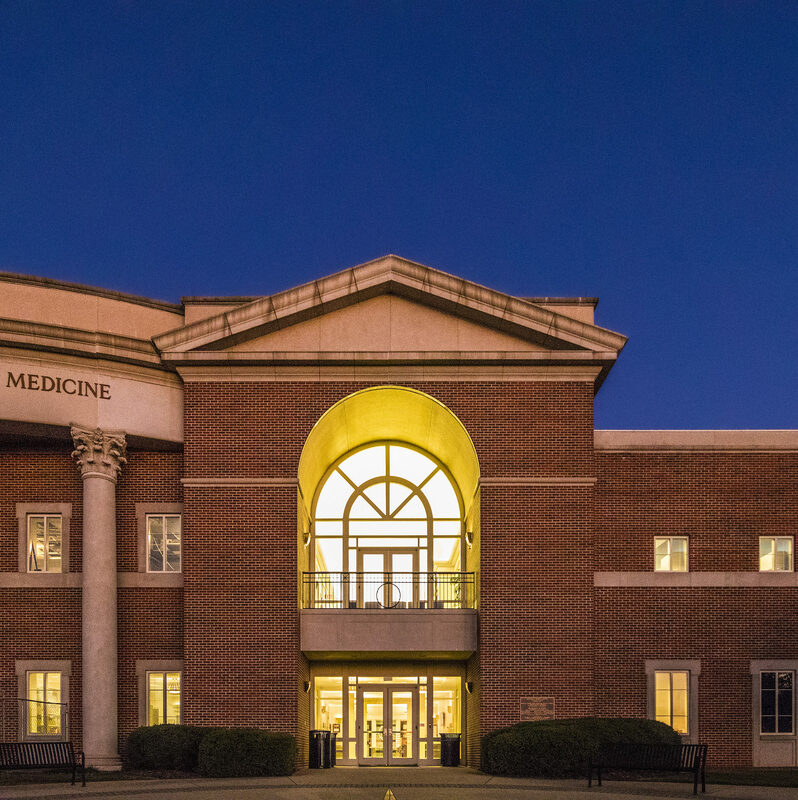 In its role as a regional campus of the University of Alabama School of Medicine, the College provides the third and fourth years of clinical education and training to a portion of medical students. Through a series of nationally recognized pipeline programs, the College recruits and mentors students from rural Alabama who wish to return to their hometowns or similar areas to practice. The College operates University Medical Center, with three locations that together comprise the largest community medical practice in West Alabama. The College also houses the Institute for Rural Health Research, which conducts research focused on improving the health and lives of Alabama’s rural citizens. We are dedicated to improving and promoting the health of individuals and communities in Alabama and the region through leadership in medical education and primary care; the provision of high quality, accessible health care services; and scholarship. Shaping globally capable, locally relevant and culturally competent physicians through learner-centered, community-based medical education and mentoring. Addressing the physician workforce needs of Alabama and the region with a focus on comprehensive Family Medicine residency training. Engaging communities as partners, particularly in rural and underserved areas, in efforts that improve the health of Alabama’s citizens. Providing high quality, patient-centered and efficient clinical services. Fostering scholarship in relevant and innovative community-oriented research to influence population health and support community issues. The College of Community Health Sciences was established at The University of Alabama in 1972 in response to the Alabama Legislature’s mandate to solve the critical need for health care in rural Alabama. That same year, the College was also designated as a regional campus of the University of Alabama School of Medicine to provide clinical training to medical students. Dr. William R. Willard was recruited as the College’s first dean following his retirement from the University of Kentucky. Willard, known as the father of family medicine for his national role in establishing family medicine as a specialty, began recruiting faculty and staff, and the College’s first full-time students enrolled in 1974. Since that time, the College has educated nearly 500 family medicine physicians who are working in medical practices, hospitals and universities throughout the United States. In its role as the Tuscaloosa Regional Campus of the University of Alabama School of Medicine, the College has educated more than 800 medical students who have been competitive in obtaining entry to prestigious residencies across the country in family medicine and other specialties, including internal medicine, pediatrics, obstetrics and gynecology, psychiatry, neurology and surgery. The College’s first medical clinic opened in 1975 in Tuscaloosa and by 1993 had 13,800 patients. Today, University Medical Center provides comprehensive patient-centered care from three locations – University Medical Center, located on the UA campus, UMC-Northport and UMC-Demopolis – that form the largest community practice in West Alabama with nearly 150,000 annual patient visits. University Medical Center also serves as the base for the College’s clinical teaching program. CCHS faculty and graduate students engage in research and scholarship and provide community outreach through the Institute for Rural Health Research, established by the College in 2001 with the goal of improving health in Alabama and the region.